Dokken developed their first DeadFowl Trainer to teach dogs how to properly hold and carry all game birds. They felt they could achieve this by making them hard on both ends with a soft, durable, scent-injectable body with a life-like look and feel. 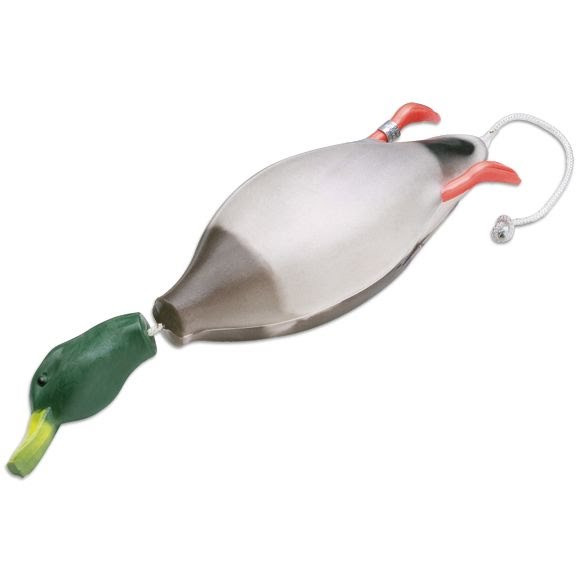 The hard free-swinging head disciplines unwanted aggressive head shaking by delivering a sharp wrap to the snout of the dog.